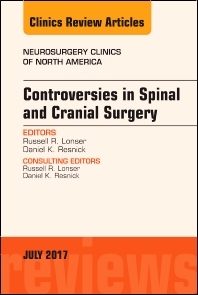 Dr. Russell R. Lonser is Professor and Chair of the Department of Neurological Surgery at Ohio State University. His research interests include the development of drug delivery paradigms for pathologies of the central nervous system, as well as investigation of tumor pathogenesis and biology. His clinical and surgical interests focus on the treatment of brain, skull base, and spinal cord tumors. He is an author on over 300 scientific and clinical publications. He received the Young Investigator Award in 2001, the Mahaley Clinical Research Award from the Joint Section on Tumors in 2013. He was the 2017 American Association of Neurological Surgeons/Congress of Neurological Surgeons Section on Tumors Bittner Lecturer, and was the Edward H. Oldfield Lecturer in 2018 for the American Academy of Neurological Surgery. Dr. Lonser is co-inventor on a patent for imaging delivery of therapeutic agents in the nervous system. He has served the Congress of Neurological Surgeons as President, a Member-at-Large of the Executive Committee, Scientific Meeting Chair, Annual Meeting Chair, and Treasurer. He has been actively involved in the mentoring and training of over 40 neurosurgical fellows. He is on the editorial boards for Journal of Neurosurgery, Neurosurgery, and World Neurosurgery. He is an Academic Editor for PLoS One and Science Reports, and is a consulting editor for Neurosurgery Clinics of North America.